For my first full day in San Antonio (on my way towards the East Coast), I wanted to get an early (and big!) breakfast before I headed into downtown for all that San Antonio's River Walk has to offer. 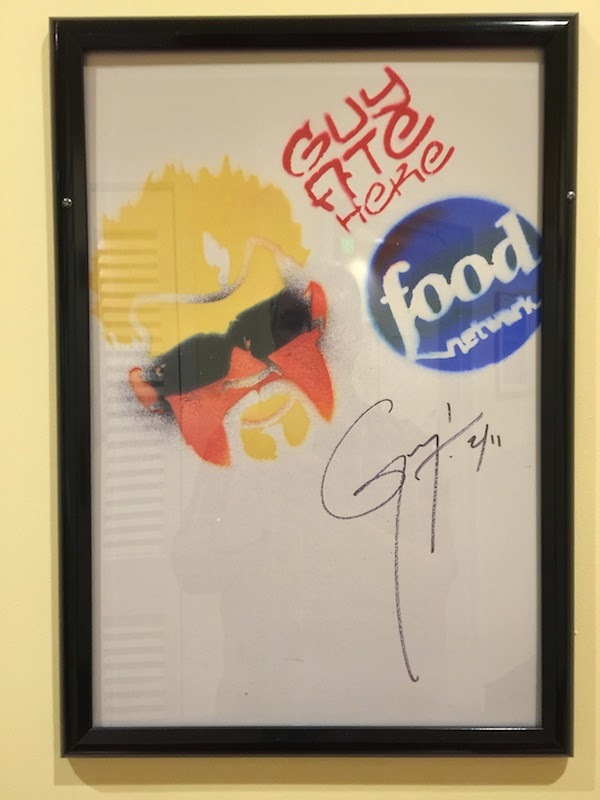 Read my full review of Magnolia Pancake Haus as seen on Food Network's Diners, Drive-Ins, and Dives with Guy Fieri after the break. 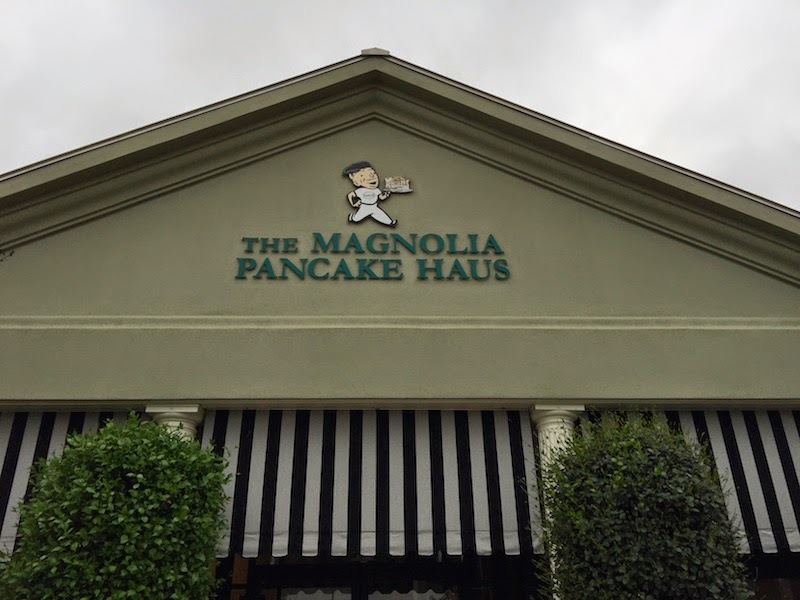 Magnolia Pancake Haus is located a bit north of downtown, so parking is not a problem. 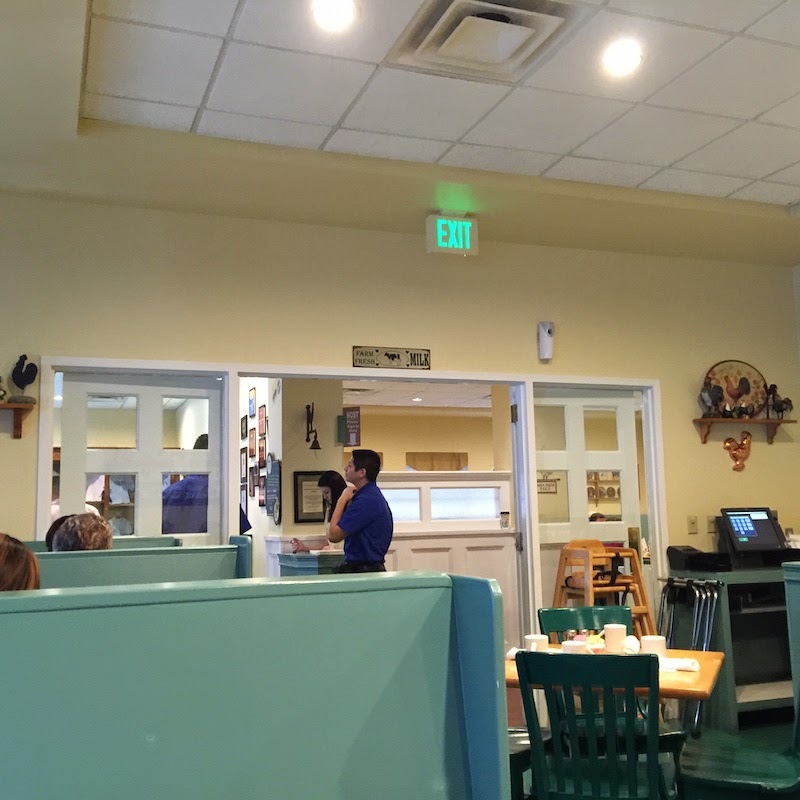 And it's got plenty of seating with the comfortable booths which I prefer for breakfast. The coffee arrived almost as soon as I did, and in a huge plus I was given a full carafe, too. That's service! 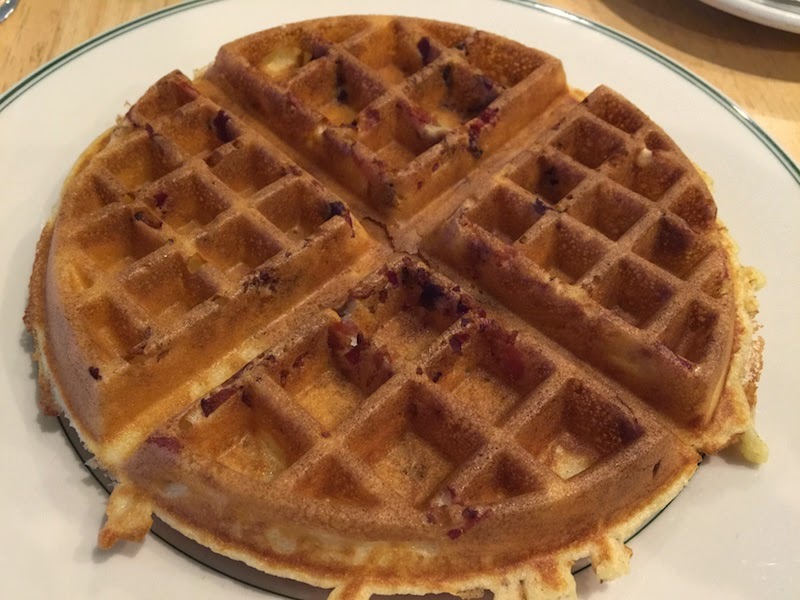 As I was looking over the menu for the bacon waffle as seen on DDD, my eyes wandered to the big apple pancake so I asked the waiter but he said only get that if I was extremely hungry, and that the bacon waffle is a good choice. 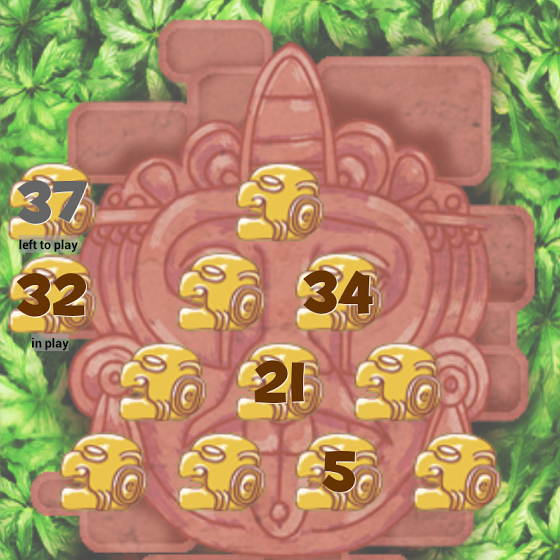 So that's what I got. The bacon waffle is very good. 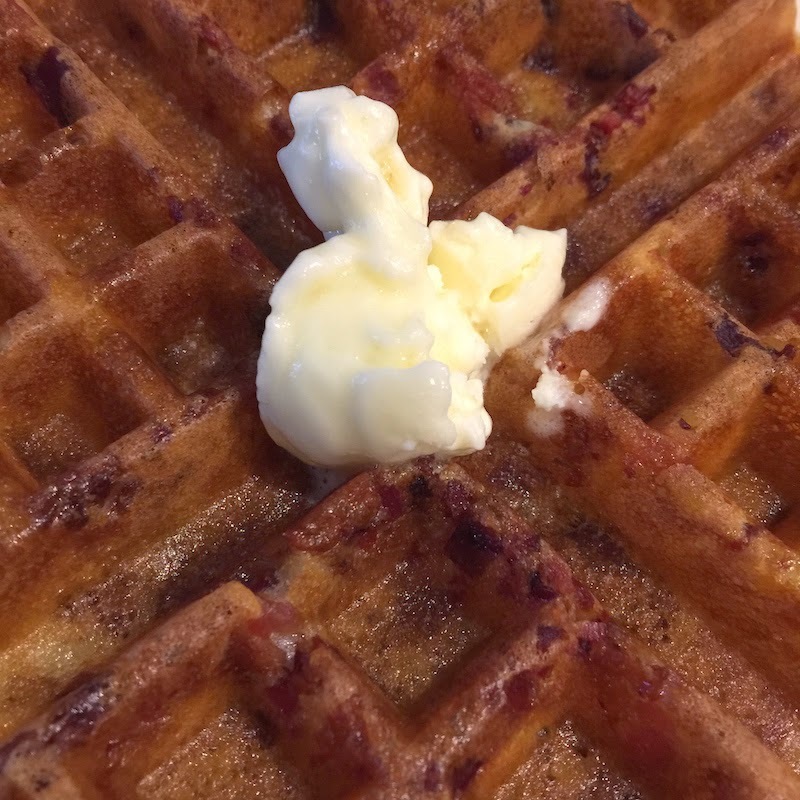 The waffle is crisp and light, and the smoked bacon is full of flavor without overwhelming the waffle. Every bite had bits of bacon in it. Top that with maple syrup and you've got a delicious waffle. 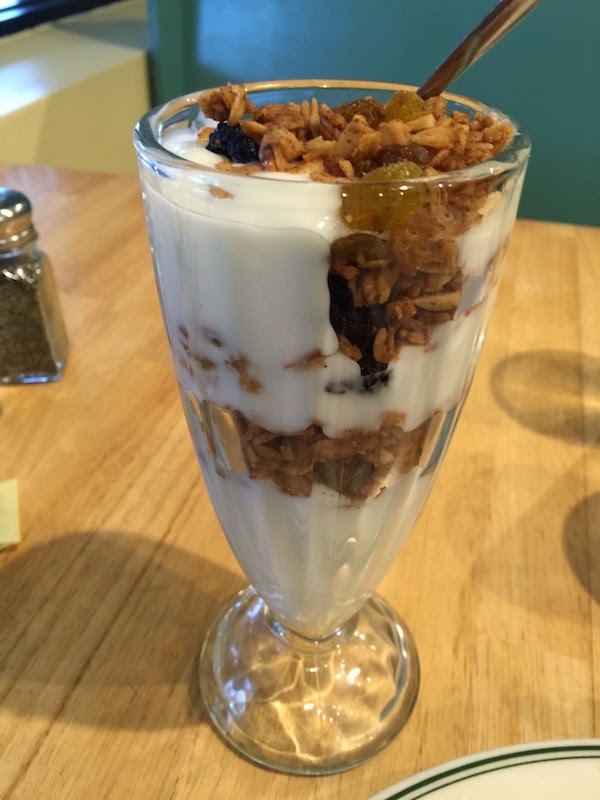 The granola in the yogurt parfait was fresh and crunchy, and very tasty.